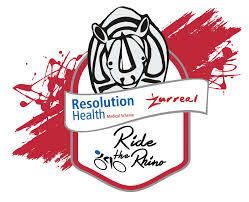 Resomed is a medical aid that operates on the principles of accountability, transparency and sustainability. 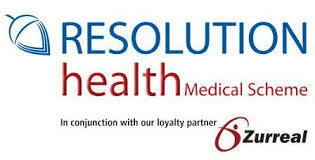 Resolution health is one of the favourite health care providers in South Africa, because of affordable prices offered. The financial stability of Resomed gives peace of mind to all members. Therefore, as member of Resomed, you know that in the case of a medical emergency, you have cover. There are two types of healthcare systems in South Africa: public- or state providers – and private providers. Either people who can pay for services from their own pocket or people who belong to a medical aid use private providers or hospitals. Medical aids can be divided in two categories: open and closed. Open providers such as Discovery medical aid,Momentum medical aid, Momentum medical aid, Resomed, Genesis medical aid and Liberty medical aid allows any one of the public to join. The medical aid South Africa offers, suits each individual and family’s need. Therefore, it is possible to have cheap medical aid cover in case of a medical emergency. Closed medical aids have restriction and only certain members of the public qualify according to a few criteria. Amedical aid board known as the Council for Medical Schemes, regulates all medical aids, including Resomed and Discovery Health medical aid, the largest open medical scheme in South Africa. Resomed is a medical scheme that provides members with medical cover. Resomed looks at health cover in a holistic manner.As human beings, you have to care for the mind, body, and spirit, and this is what Resomed does. With a holistic approach, you will not only feel good and stay healthier for longer, but it will save you money, since, your trips to the doctors and pharmacy will be less.With Resomed, you automatically qualify for the Zurreal loyalty and lifestyle program. When you pay your contributions each month, you know that you are paying for a provider that wants to keep you healthy. Resomed offers different plans with different options. This includes the International Travel Cover. If you frequently have to travel abroad, this cover is something to consider. There is a difference between a medical insurance and a medical aid.